FROWNIES REVIEW: 5 YEAR UPDATE WITH BEFORE/AFTER PICS | Do I still use them & can you make them yourself? I wanted to give you an update on Frownies! More than 5 years ago I started sleeping with a Frownie in between my eyes. 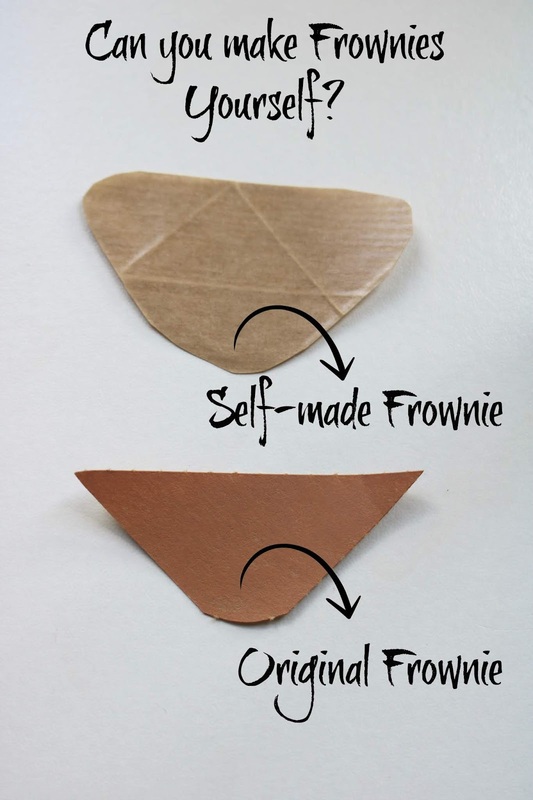 In case you don´t know what Frownies are: this is a simple method to reverse deep expression lines without the dangers of injections or toxic chemicals- it is literally just a self-adhesive paper triangle that you stick to your skin (like a paper stamp). Yes, it has been 5 years now with my Frownies! I can´t believe it has been that long! But do I still use them? Or is there maybe a way that you can make Frownies yourself? Here is my 5 year update on Frownies! 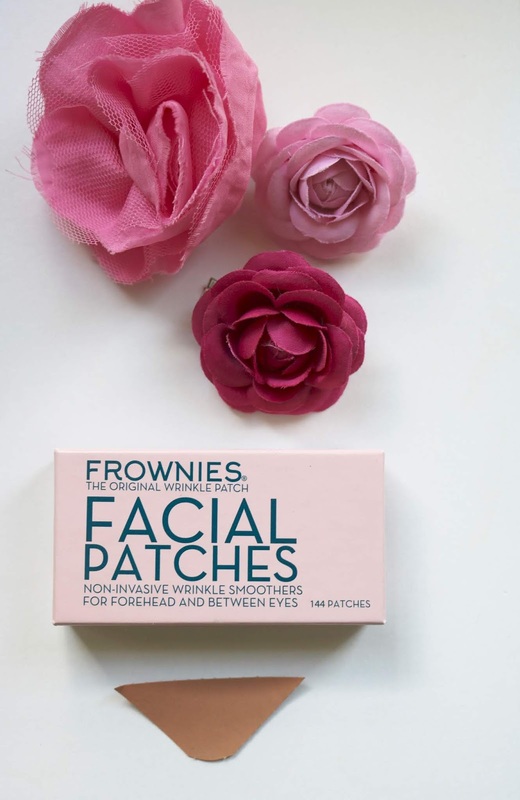 And with that I can truly say that Frownies are the one product that I committed to since 5 years and have repurchased more than 12x (a box contains 144 patches). Since pictures speak louder than words, check out how my frown line between my eyes looked in 2013 compared to 2018 (click on image for even better view!). You might be also interested to read: "Why my skin looks better with 41 than with 37", because as you can see my skin overall- not just the frown line- has greatly improved since 2013! Overall my impression is, that after 1 year of sleeping every night with Frownies my frown line got better by probably 50%. After that first year the process was much slower. 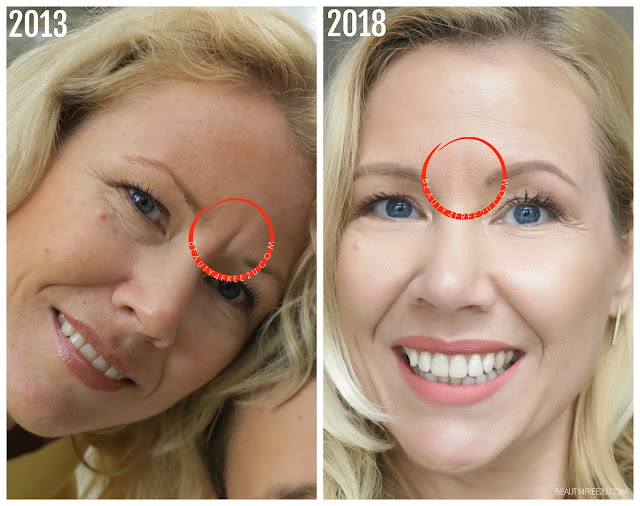 After 3 years I felt that there was no improvement anymore, meaning my frown line never completely -to this day- disappeared, it was a still-stand- however I found that Frownies helped that my frown line at least did not get any worse anymore. Now I simply use Frownies to keep the result that I achieved after 3 years. Can you make Frownies yourself? But then it hit me: after all Frownies are just Reinforced Gummed Paper Tape (used for shipping purposes!)! I quickly typed that in on ebay and found a big roll for $5! That had to do it! I purchased this roll in excitement and was ready to do a little DIY and cut my own little paper triangles. Then the night came and I stuck my little self-made paper triangle in between my eyes. The glue wasn´t as strong as the one by Frownies, so I needed to hold it for a while in place, until it dried. It seemed to work! I stared in the mirror with my self made paper triangle on my face and thought: Yes, saved me a couple of bucks! And this roll would last like forever! Wohoo! But then the next morning came...and what do you know? My self-made Frownie wasn´t even on my face anymore! LOL! It literally fell off during the night- which has never happened to my Frownie before! Geez. And on top of it my frown line looked worse! Ouch! I still did not give up on my DIY project and while comparing the paper tape with Frownies, I realized that the paper of the Frownie is much thicker. So I decided to glue 3 paper triangles together to have the same stiffness as Frownies offers. I stuck that tripple-diy-triangle between my eyes and hoped this would be the solution. This time the triangle would hold up during the night- however, my wild dreams and frowning still managed to loosen up the paper at certain points and my frowning had a chance to do its chores: frowning. ;-) Nope. Even 3 layers of brown paper tape would not be a match for a simple Frownie. Yes, I still after 5 years stand totally behind my Frownies! Love 'em, need 'em, buy 'em! See also MY 3 YEAR FROWNIES UPDATE! Or MY 1 YEAR FROWNIES UPDATE! Read also why I never did Botox!